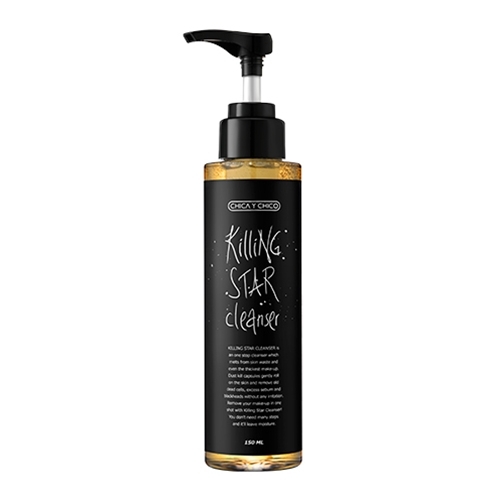 Unique gel to foam multi-tasking cleanser and makeup remover. “Kill” capsules, made from natural Jojoba ester removes old dead skin cells, excess sebum, blackheads, and fine dust without irritating skin. Four types of plant oil (sunflower seed, sweet almond, coconut, and olive) hydrates skin. Made in Korea. • Removes makeup, blackheads, and excess sebum while providing moisture to the skin. • Filled with vitamins, minerals, and unsaturated fatty acid. • Hypo-allergenic, natural ingredients won’t irritate skin. Meaning “Girl & Boy” in Spanish, Chica y Chico specializes in fresh, fun skincare for men and women. Their simple and easy-to-use formulas provide instant results in on-trend packaging that fits into a fashionable lifestyle. Chica y Chico hopes to keep up with the fast pace lives of youth by providing a simplified, efficient, and complete skincare routine.